shannonbanks14 wrote: Rynaghs to win with bit to spare. Will be a lot of birr lads wont be able for our running game. Twil be the start of few yrs of dominance. its the short passing and running game that have lost Rynaghs the last few county finals. Birr by 3 points for me. I disagree Rynagh lost last year because of a center back that forgot to do his job and protect his full back.This year A Tracy looks solid and with B Connelly there to mark R Hanniffy ,Birr could really struggle in the half forward line. G Kelly made a big impact in the semi final ,im not sure that birr midfield will be able to contain him. Birr full forward line need good quality fast ball ,if the get that birr should win but if the are made scrap ,birr will struggle. Rynaghs lost last year to a better prepared team. Coolderry had players probably nearing the end of the road but still managed to out play and out think Rynaghs both on the field and sideline. I think Rynagh's will have to deal with the psychological pressure first and foremost because if they have not learned to deal with this then it could be more disappointment on Sunday. They have really good hurlers but sometimes they get caught up in a running game while looking for the perfect pass. They need to tear into the game from the start (old school values). Birr's defence has been solid all year with Verney, Watkins, Hayden and Ryan all in good form. Hope it is good game, the weather is promised good so both teams should put in good performances. Even though St. Rynaghs are the better team as they have been consistent in getting to finals I think they will struggle to overcome the pressure so Birr have a real chance. looking forward to it. 60/40 in my book in birrs favour but given the long delay between semi and final its pure conjecture. Sunday’s County Final has more at stake than the title of champions, the ending of a famine or the Seán Robbins trophy. For the winners, whichever of the pair that is, will be best placed to dominate Offaly club hurling for the remainder of the decade. St Rynagh’s, as everyone knows, have been knocking on the championship door since the decade began. To look at their Final prospects, we need look back 13 months, to 2015’s semi-final win over Kilcormac-Kiloughey. That day St Rynagh’s gave almost a perfect hurling performance – everything you want to see from a team, yet the vintage semi-final was left behind them and they flopped in the subsequent Final. We can expect that their focus will be so much different this time around. Look at the contrast – last year the Final team picked itself, and deep down there probably was a train of thought that the performance, and the result, would look after itself. Imagine the focus now. Competition for places, with any number up to four changes likely. Management have no sacred cows either, witness it was Pat Camon who was withdrawn to make way for Conor Hernon as the semi-final appeared to be slipping from them with each passnng second-half minute. Conor Hernon’s playmaking had a major role in turning that semi-final tide Shannonside. It was he who got on the ball on the right side of their half-back line, who played the first pass which brought Garry Conneely into the game and the passing game began to move. Those critics of said passing game would do well to note how instrumental their favoured gameplan was in the semi-final recovery. And building from the half-back line might be the best plan to bypassing Birr’s excellent half-back line. Stephen Quirke too has to start. You can’t have enough scoring threats, and while St Rynagh’s have a hardworking forward line, and the Birr rearguard will not readily clear the ball in the face of Seán Dolan, Mattie Maloney and Niall Wynne, without the younger Quirke, it is hard to see where the scores will come from. Stephen Wynne too should start. Different game though, and while his roving role was best suited to keeping Joe Brady away from the D’s edge last year, it might suit Rynagh’s to keep Dylan Hayden pinned back behind the ’45. Freetaking will also be an issue, and while having a freetaker who will score six out of first-half six is one thing, your freetaker needs to be the man who will nail the pressure free at the end, the one you need to save the game. Inconsistency has been St Rynagh’s hallmark since the decade began, following up a great performance with a mediocre one (item: last year’s semi-final and Final), or finding those two spectrums in the one match, as they did most recently. Birr, for their part, have been consistent. Solid, unspectacular, but getting the results, getting the performances. And the consistent performances have come from a consistent team selection. Seven of them have started all matches, five more have started six games, while three more have started five times. Colm Mulrooney, Conor O’Callaghan and Rory Hanniffy have started in the half-forward line in six of their seven matches to date. Of the 24 players used to date, four have made just a single substitute’s appearance. I was surprised Brendan Murphy didn’t start the semi-final in what was a rare tactical switch that didn’t involve an injury or a player returning from injury. The half-back line, naturally, is Birr’s rock. Seán Ryan has been spectacular in the air or on the ground. Brian Watkins hurls much more off the front foot than he used to, and Birr are much the better for it. The triumvirate around the square (Mullins, Verney and Cleary) have been superb. The jewel in the crown though is Emmet Nolan. Nolan has had a great year, and has scored 2-24 from play for his club. Talented, and mobile, capable of scoring freely, and who can exploit space in front and behind him. Coping with the U21 star will have occupied St Rynagh’s minds for the last three weeks. Vital that St Rynagh’s get their defence organised. Dermot Shortt will not stand on ceremony, though it will take a performance from the St Rynagh’s defence as a unit to close out the threat. That will involve Aidan Treacy dropping deep to offer extra protection, and sealing off that space between the D and the 45 where Nolan likes to roam. What, then, if Birr were to put someone like Rory Hanniffy to centre half-forward, someone who simply couldn’t be left unattended? St Rynagh’s might also delegate Ben Conneely to man mark Nolan. No occasion is too big for the young Banagher man, who scored a superb goal in last year’s final, and last July turned in an exhibition of manmarking in the U21 Leinster final. And with the need to create a berth for Conor Hernon around right half-back, moving Conneely to full-back while relocating Dermot Shortt to corner-back to oppose Brendan Murphy, wouldn’t be daft at all. Final quarter, the final in the melting pot, and selectors turn to their bench for gamebreakers. Last day, St Rynagh’s could call on four who played a massive part in their path to the final. And while a number of that quartet will start, Rynagh’s could still have quite a measure of pace and scoring capability in reserve. Ger Scales, Paul Quirke and Ronan Hughes would still make an impact off the bench. In the green and red corner it really is difficult to see where a game breaker would come from. Brian Mullins and Barry Whelahan first played Senior for Birr in 1996. This is their 21st season hurling Senior for Birr which is an outstanding record of longevity and of service to their club, when both could have walked away a few years ago. A new era will dawn for Sunday's winners. Birr look short of options, though that didn't hinder Coolderry last year. Though under pressure (and there's nothing new there) a focussed St Rynagh's look set to deliver on their potential, perhaps with a little help off the bench. Rynagh's then, something like 2-12 to 1-13 or thereabouts. Good post POTH, my view on Sunday's final would be a Rynaghs win. Both sides will need to hurl alot better for the full 60 mins than they did in the semi final. Rynaghs started like a train v KK and looked as if they were going to repeat last year's semi final performance. For some strange reason they stopped playing their passing game and let Kk back into it and looked dead and buried, the introduction of Quirke ,Wynne ,Hermon and Scales along with their superior fitness turned tings around for a deserved win. I don't think Birr would have come back and beaten Kk in the same position. Birr's semi final was always in their control from when they scored the first goal. Kinnitty were far off the pace and never threatened the Birr back line which Ryan and Watkins were excellent. Both sides had different paths to the final. Birr who remained unbeaten in the group but still in both games v the weakest teams in the group ,shamrocks and Tullamore , it was well into the 2nd half before Birr pulled clear. In the 2nd game v Coolderry it was only a strong scoring spree in the second half against a depleted and poor Coolderry outfit. In their next game v Seir Kierans a last minute goal saved them in a game which SK were the better team throughout. Overall Birr, I suspect wouldn't be happy with their performances on route to final except their performance v Belmont in the Qf. Rynaghs meanwhile had convincing wins over Shinrone Belmont Lusmagh in the group but failed to beat a 14 man Kk team in a match when both sides were under strength. In their qf v Coolderry they should have taken some good goal chances in they first half which would have put them well out of sight by half time. They never looked like losing and scored handily in the 2nd half. It was with a brave decision that Rynaghs in the semi final , when Kk were on top , substituted 2 of there big named backs in Camon and Maloney , which was correct at the time. How many other teams would make this move ? Not many I think. The easy decision to make would have been take off Kenny in the other corner . Birr on the other hand didn't start Murphy , who had been one of their better forward all year, because he had been on holidays , his introduction settled Birr in the 2nd half , he looks and is far better than 3 off the other starting forwards that Korean picked that day and mite not start him either in the final. I reckon Forde will learn alot from last year's final where he got it seriously wrong by picking 3 'not natural ' forwards, Maloney Treacy ,O Connor . One could say Wynne did alot of his early days hurling in defence aswell. This showed big time by Rynaghs only getting one point from play (30 th min ) in tthat first half. Maby he hasn't learned this year with Maloney Dolan and the other Wynne chap playing upfront still. If he decides to go with some natural scoring forwards I.e 2 Quirkes, S Wynne , Scales along with Maloney and Hughes or Connneely or O Connor then I think Rynaghs will have enough to win by 4+. Well done to Rynaghs today. Fully deserving of victory and probably should have won by more. I feared for them when Birr brought it back to a point but in fairness they finished strong when they needed to. They were so dominant in first half but didnt put the scores on the board that they should have. Stephen Quirke was causing huge trouble and could have scored a goal when hitting the post. There where some huge performances but for me Gazzy Kelly and Ronan Hughes were outstanding. Dan Moloney and Conor Hernon really shored up that side of the defence while Joey O Connor was everywhere. Conneely had his best game in years and Rynaghs did their simple things really well with some excellent link play. With their age profile and the fact that KK and Coolderry are probably past their best, Rynaghs could be set to dominate for the next 4 or 5 years. They should really give the Leinster a rattle now and should fear nobody. If they do, there is absolutely no reason why they couldnt end up in Croke Park on St Patricks day. They have the players and with the monkey off their back now, they can hurl with a lot of freedom. Well what a day for Michael Duignan, being sent to the stand to winning the minor title for the first time with Ballinamere Durrow, having his 2 sons playing with one being captain, after lifting the trophy being paraded for the 25 year award for NHL champions and then seeing Banagher win for first time in 23 years. It was great to see Ballinamere win and in winning won it the hard way, playing with the wind and only having a small lead at half time they fought really well especially when going a point behind in closing stages, great for hurling that non traditional clubs are coming and winning. As with the minor game i think all feared for Rynaghs when Birr got back to a point with 7-8 minutes left, they could have blown it like other years but fought real well and fully deserved the win. To progress well in Leinster they need to make better choices when shooting, i think it was 10 first half wides and some were mad to shoot in positions they were in. The 6675 cold supporters were treated to 2 close and exciting games. This game was about banishing county final demons for St Rynaghs and for that reason, I'm delighted that they won it the way they did. It's all very well to walk away with a county final, and let's be honest about it - if they showed any level of accuracy in the first half, they would have been out of sight. However it'll mean more when it didn't come easy. Look at the difference in Coolderry when they won it in 2010 and again in 2011. They were never tested in the first one, went out and lost to a Westmeath club in Leinster. 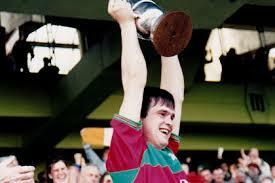 Beat Birr in the final the following year, and went all the way to Croke Park from there. well done to St Rynagh , made hard work of it but finally ended their famine. Birr will be very disappointed really the were lucky they didnt get a hammering ,St Rynagh mistakes kept them in them. Now that the monkey is off their back ,everything is a bonus now so i expect to see them hurl with more freedow and become a real force over the next few years. Like KK did in 2012, i think St Rynagh will enjoy they next few days but will want to taste more success . Their age profile and fitness alongside St rynagh proud tradtion will made them a real force in my opinion. Well done to ballinamere durrow winning their first minor title . It was a very close game and could have either ways ,kk probally wont be some ref decisions especially late on but its great to see hurling spreading around . The freetaker on both teams were top class ,it was so close it was a really enjoyable game . Congratulations to St. Rynagh's. Good to see you win a county title. Best of luck in the club championship v Oulart in Wexford Park. Congrat's to St. Rynaghs. Really outstanding this year. Aidian Tracey was outstanding in the middle of defence. He held his position and let everyone else do the hurling. Outstanding discipline for a very good player. He discipline lets The likes of Ben Connelly express himself and Ben had a great game. Ronan Hughes got through a huge amount of work and scored a cracking goal in the end. Birr i though Haynes got stuck in as he normal does. There half back were bullied by the Rynagh half forwards. Eoghan Cahill is an outstanding hurler. Nolan looked to be carrying a leg. I though Mulrooney was work hard and did very good job of Birr. Team of the year time. I missed so many game this year, I think it gone to be hard for me to be happy with my selection this year but i'll give it a bash later. The Minor was a good game. michael duignan showed that he has the potential to be a good manger but he has a lot of learning to do. Getting himself sent off. Stupid. Good to see him managing. Hoping to see move on to a Senior Club next year and maybe if he improves he get the Offaly job in 5 or 6 years. If he learns to manage his temper. He is no where near ready for the Offaly Senior job, It would be a joke appointment. One Minor title is a stepping stone not a sign of a complete manger. The game changed on a Ref mistake. Ballinmere player foul the Ball and it was missed the ball was cleared and a soft free was awarded at the other end of the field. 2 point turnaround in the extra time. a draw would have been a fair results. Congt's to Ballinmere/Dorrow. Ballinmere Full back is a great hurler. Looking forward to see him again. and underage team with The Ballinmere full back and The KK centre back is half way to been a good team. [quote="Toxicity234"]Congrat's to St. Rynaghs. Really outstanding this year. the ballinmere fulback is Ciaran Burke he hurl fullback this year for the offaly minors. Ballinmeres centre back was also outstanding Barry Cleary i think, also k/k midfielder Connor Quinn was very good, along with Sean and Brian Duignan offaly have a few nice young players are the Duignan brothers minors next year. townman wrote: the ballinmere fulback is Ciaran Burke he hurl fullback this year for the offaly minors. Ballinmeres centre back was also outstanding Barry Cleary i think, also k/k midfielder Connor Quinn was very good, along with Sean and Brian Duignan offaly have a few nice young players are the Duignan brothers minors next year. Yeah, Loads of good hurlers in the underage ranks. KK Wing Back Lenorad is a bit special as well and the good news for Birr is i watch there under 16 and 14 and they have a great batch coming as well. IF WE LOOK AFTER THEM. the future looks bright but our history over the last 20 years is to throw them in a the deep end and watch them sink. As I've often wrote, in different contexts, there comes a match in every developing team's life cycle that simply must be won. For the current St Rynagh's team, that match was last Sunday. They were under tremendous pressure, they absolutely could not afford to lose, and that reflected in their hurling. Pressure from themselves, pressure from the town, pressure following last year's Final, the pressure that comes with the expectation that is placed on every St Rynagh's team. So many poor touches, so many misplaced passes, so many sticking the hurl up to control a ball in the air and the ball bypassing the waiting hurl, so many flicks that came off the hurl sideways. What pressure does. Really only Danny Maloney, Ben Conneely, Conor Hernon and Ronan Hughes hurled well. They were the only ones whose touch was sure, who hardly misplaced a pass or made a handling error. In several respects, it is no surprise that they won in the manner they did, falling over the line, leaving their supporters (and probably themselves) exhaling sharply with pure relief. Sunday was a test of their character, a test of how they would respond when so much went wrong, when so many scoring chances went west, and when Birr went on a second half scoring run that brought green and red to within a point. Perhaps on another day St Rynagh's might have caved. On Sunday they kept their heads down, kept fighting for the dirty ball, Gary Kelly fell back to plug the hole behind his centre half-back, and Ronan Hughes backed himself to create a goal chance that wasn't really on when he gained possession. It was the day the boys became men. Being St Rynagh's, there'll always be a weight of expectation, the comparisons with the various teams who accumulated the 16 previous Senior championship wins and the expectation to match and better old achievements from those monochrome days. A huge monkey is off their backs now, though the structure of the team requires work yet. Ben Conneely won't stay at corner-back for much longer as he has more to offer outfield, while Niall Wynne still has a prominent role to play. They will head to Wexford next week, back on the Leinster road, a road much travelled by their predecessors in blue and gold. How far they can go is very much up to themselves. They have proved they can handle the pressure. The hardest one to win is the first one. Congrats to St. Rynaghs. This a huge result for them not just because they have become champions but more importantly they at last say they have laid a few demons (in terms of pressure) to rest. It wasn't pretty but that matters little when its all about the result. Hughes was the difference and his ability to carry the ball past advancing tackles to create scoring opportunities is excellent. Midfield suits his style as he can take much more possession going forward than when in the half forward line. Birr will probably regret leaving Ben Conneely in a free role in the first half. It gave them no chance of attacking Rynaghs' goal with any great threat and by consequence gave Rynaghs a chance to settle into the game defensively. This was vital for Rynaghs defenders given the mental pressure they would have felt early in the game. When birr pushed up in the 2nd half they were much more effective. The better team won which is a richly deserved championship win. Hard luck to birr but they can take pride in the fact they have regained a lot of ground this year and have some excellent hurlers coming through in the likes of Cahill and Nolan. Overall it was a average championship, but that wont bother St. Rynaghs who hopefully will go well in leinster.